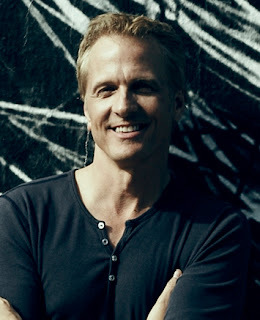 Patrick Fabian is “that actor from that show.” With hundreds of acting credits from various television shows — including “Beverly Hills, 90210,” “Reba,” “Friends,” “Burn Notice,” “Big Love” and “The Last Exorcism,” to name only a few — he is the quintessential go-to actor. Give him any type of role, and he’ll play it to perfection. His most recent role was that of Rob Parker on CMT’s first-ever sitcom, “Working Class” (which, sadly, was canceled by the network). I caught up with Patrick recently, and he told me about what he’s been up to lately. Celebrity Extra: You have such a wide and varied resume of characters that you’ve played. A lot of actors are probably envious of the fact that you are not pigeonholed into any one type of character. How has that given you freedom as an actor? Patrick Fabian: It’s funny — being the typical actor, I’m like, “Oh, I want somebody else’s resume.” You’re never happy with what you’ve got; you’re always complaining in some respects. I’ve been really fortunate, and I have played a variety of things, and I have been on a lot of cool shows. When I say “cool shows,” it’s not necessarily the most popular. Yes, I’ve been on “Friends” and I’ve been on “Will and Grace,” and those are grade-A caliber shows. But I’ve also been on stuff like “Xena” and “Burn Notice,” which have their pocket of fans, and man, they are fun to be on. I just got offered a job on “Hot in Cleveland” to play half of a pair of Siamese twins. That’s the sort of job you just don’t say no to, because how often does that come around? CE: You got a lot of notice for your role of Ted Price on “Big Love.” Tell me about that experience. PF: I always joke that I was playing a “real” Mormon: He loves money first and Jesus second. I don’t think that has disparaged the Mormon faith by any stretch of the imagination, but I think my character was very much a guy about business above all, and he was using his religion as just another tool to get what he wanted financially. The best thing about that was working with Bill Paxton and Jeanne Tripplehorn. They were my main scene partners. They are just consummate pros. They bring their A game to everything, and it was a real treat to go on set and see people who, frankly, could probably put it in coast, but they chose not to. That was a real lesson to me as an actor, that you never sit on your morals and rest on them. You are always trying get the best out of whatever it is you’re doing, and it was really fun to work with them. I want to be Bill Paxton when I grow up. CE: For squeamish folks, like myself, who shy away from horror movies because we are wimps, what would you tell us to convince us to give “The Last Exorcism” a try? PF: (Laughs) I’ll tell you a few things. One, I wouldn’t classify it as a horror movie straight up, because I think that gives the impression of a body count — a lot of blood and arrows in the eyes. I can tell you it was rated PG-13 for a reason. Not because it wasn’t creepy, not because it didn’t get into your spine, but it’s not a graphic gore fest. We like to call it a smart thriller with a horrific ending. CE: How was the filming experience? PF: This was a low-budget film. It was roughly $2 million for the budget. We shot on a shoestring for four weeks down in New Orleans. I’d never been to New Orleans. It was really fun, but in terms of creep factor, it was creepy, because the woman I was working with, Ashley Bell (who plays the possessed girl, Nell), is so good at playing both sides of her character’s coin: the sweet and innocent Nell and then the possessed girl. I can be as good as I want as the priest in the “Exorcism,” but if you don’t believe the possessed girl in an exorcism film, then you don’t have a film. And we do have a film, because she’s so good. I promise you, if you watch with the lights on, you will be OK. It won’t keep you up at night. And I think it’s a much smarter film than people give it credit for. CE: How wonderful was it for you that the movie ended up being such a hit, and you won awards for your performance at a few major film festivals? PF: Totally unexpected. The movie grossed, I think, like $70 million worldwide, and it had such a strong opening here in America, like a $20 million opening weekend. I got to fly over to London for the premier, and I got to fly to Toronto for the premier. So, after 20 years of kicking around as an actor, it was nice to play movie star for a couple of weeks. In Toronto I got the Best Actor Award in the After Dark Festival. The film got nominated for a Spirit Award and a People’s Choice Award. I won the Best Actor Award at the Sitges International Fantastic Film Festival. CE: You have so much experience in all different acting genres — is there one you prefer, or do you enjoy mixing it up and keeping yourself on your toes? PF: I’m kind of like a sled dog in that I’m really happy with where I am at the moment. So, if I’m doing a play, like I was doing last year, it was great, and I do love the theater, very much so. It’s how I was trained, and I really feel at home there. But I also feel at home when we have four-camera sitcoms. I like being on location with films, so I’ve been blessed with a varying degree of work in my career that I haven’t had time to really get burned out on any one genre, which has been nice. Although I used to say, “I’d love nothing more than to run a hundred episodes of something.” But honestly, I don’t know. I wouldn’t know that until I actually did that. What I know is what I know, and that’s being able to pick up and adjust to whatever the situation requires.